The Philadelphia Eagles entered this game, and were dominated the entire first half. There were constant mistakes throughout the entire first two quarters, and it looked like the Giants were going to run away with a victory. Michael Vick was shut down the entire time, and he was unable to get the Eagles offense moving in the right direction. The defense was consistently getting burned by Mario Manningham, and of course Eli Manning. 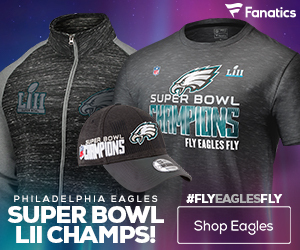 The Giants entered the fourth quarter with a huge lead, and the Eagles were struggling immensely on trying to get anything going. Then- Michael Vick happened. 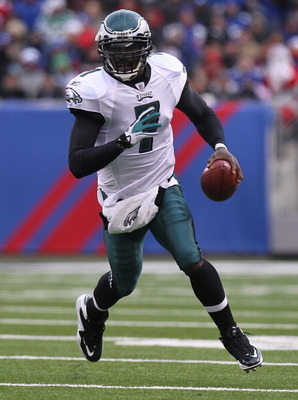 Throughout the fourth quarter of the game, Vick and the Eagles offense was able to post 28 points on the board. Vick was contained the entire game, but in the end he was able to get huge runs and find the open receivers, which eventually tied the game. Then, as no one expected, DeSean Jackson was able to return a punt for a touchdown to win the game. A 65 yard touchdown return that ended in the Eagles sealing the game off and winning with no time left on the clock. It was Miracle at the Meadowlands #2. 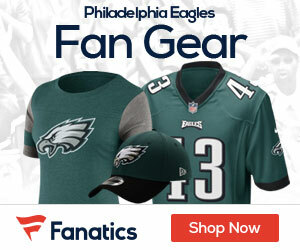 The Eagles record now is (10-4) and they look to be playoff bound. The Giants slip to (9-5) and it does not look like they will be able to get a wildcard spot. If the Eagles are able to close out the remainder of their season, they will win the NFC East and come out as division winners. If the Packers lose tonight, the Giants will be leading the last wildcard spot with a full game lead over both the Packers and Bucs. The Giants still have a good chance of making the playoffs This game was mostly about the NFC East lead, and not about getting into the playoffs. The Eagles will win the East, but the Giants will still make the playoffs.